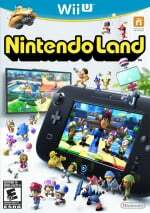 We suspect a significant percentage of current Wii U owners have a copy of Nintendo Land, simply due to the 32GB model — with which it was originally bundled at launch — selling in greater numbers in the system's early days. A number of upcoming bundles are shaking up the formula, however, and while some do include the mini-game collection others do not, and we shouldn't forget those that opted for the white 8GB launch model before now. In a bid to get as many owners playing this title as possible, Nintendo of America has now slashed the recommended price for the game by half — it should now be available in stores and on the Wii U eShop in the region for $29.99, a discount from $59.99. If you're one of those that have missed out, then perhaps you should check out our Nintendo Land review; we gave it a strong recommendation and a score of 9/10. At the time of writing no equivalent official price cut has happened in Europe, with the UK eShop — for example — still selling the download for £49.99. In truth the title has been heavily discounted by various retailers in the region for a while, so savvy shoppers need not look far for a good deal. Have you missed out on Nintendo Land to date, and if you're in North America does this new price tempt you? Wow! If I didn't get the Deluxe Wii U on launch day I would get this now for sure. It's a good game for what it is, and the use of Nintendo's IP makes it rather charming as well. @Sleepingmudkip What? How? If more people pick up Wii U's and this game this holiday season because of the super friendly price it's a great move. It's only one game getting a nice price drop. A launch day collection of mini games that basically introduce the GamePad to the user at that. Don't overreact. Such a good deal! I paid $60 on launch day and haven't regretted a cent of it! Awesome, been wanting this for a while now. @Sleepingmudkip It happens. 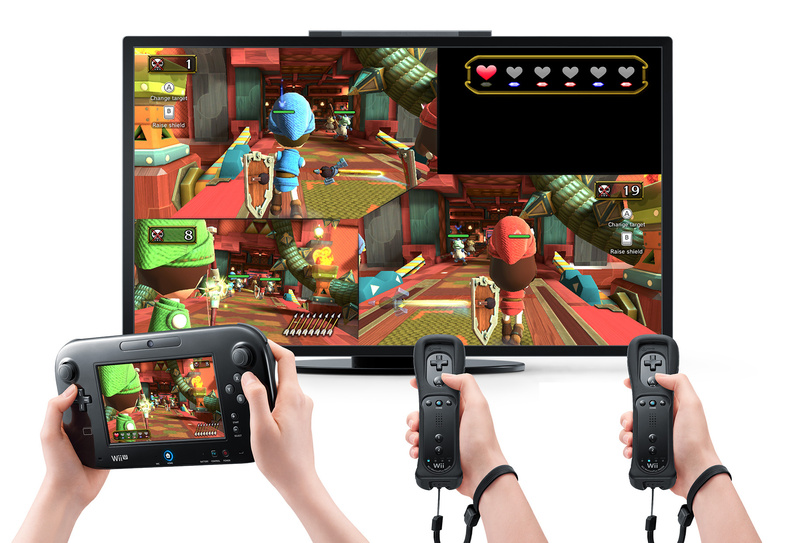 The Wii U is struggling, and everyone knows that. It's not time to freak out yet though. If sales are still abysmal next holiday season then yes, we can start to proclaim that the end of the world is nigh. I always thought $60 was too much for Nintendo Land anyhow. It's a really fun and good game collection, but the normal gamer won't take a chance at that price. Now it's in impulse buy range and more people will. I personally hope Nintendo continues to cut the price on their own eShop when the retailers do in stores. It seems that they're now starting to realize that a game shouldn't ever stay full price on the eShopf for more than 9 months, because around then the price will already be cut in stores. Smart move, since new games are coming out (and not just any games) ..games that would certainly overshadow this. @Prof_Elvin_Gadd Yeah. Nintendoland is good & all. But, it's not a $59.99 good in my opinion. I wish it would've debuted at $29.99. Then it would be worth the money. Fortunately for me I bought my copy used for $13.99. I don't think Nintendo Land was ever worth $60. It was a good piece of software, though. Not to mention that the little stands and charging cradle with Nintendo Land in the original Deluxe bundle were only worth about $30 of the $350 that it sold for, probably. My local retailers are still selling Nintendo Land at €40+, so if NoE takes notice and lowers the price to €29.99 then it would be nice. But I already own the game anyway so it wouldn't affect me. I might just get it down the road. Not right now, though - I still have way too many games to purchase for both Wii U and 3DS this month and beyond. Good game at a good price. It may not seem like $60 worthy, but the game has loads of content. That all of it clicks with you is an entirely different matter. This is actually a really fun game. Great way to get my kids into Zelda... most 3 year olds can swing the wii remote at bokobins. Nintendo Land is solid. Not all the games will be your cup of tea, but at least 3 of them, maybe more, are sure to hit the spot. Personally, the Metroid was a Godsend. To play Metroid in high definition with space pirates and metroids and cruising around in Samus' ship... it's just, wow! The Zelda was good too. Simple, yet challenging. Like the Metroid, there are 2 different play styles, one with sword via Wiimote and one with bow and arrow via gamepad. Pikmin was also worth its weight in gold, and the co-op in all three of these was stellar! The Donkey Kong game was also VERY addictive. This certainly is an awesome game, if you ask me, so it's definitely worth the price of $30. The game just wasn't selling at full price, even when they cut it out from most console bundles, so they had to cut the price. Still not worth it, heaps of mediocrity. If I were them I would bundle it with every last Wii U for no additional charge, but this is okay too I guess. I think $30 is fair, it looks like a good game, but it's too bare bones to be the same price as pikmin 3 sm3dw or DKCTF. I think WWHD should be cut to $40 as well, but that's not going to happen anytime soon. Definitely makes sense. Nintendo Land is a fabulous game, but simply isn't worth 60 bucks! Wii Party U I can understand seeing as it comes with a controller and a GamePad stand, and even then it's at $50 instead of $60! @Prof_Elvin_Gadd In the UK you can get pretty much every Wii U game for £30 brand new (Even unreleased ones as a preorder). For comparison most of the 3DS games are £28 used or £32-£35 new (Regardless of how long they have been out). The Wii U price I think is reasonable. (Same price as a brand new PC AAA) 3DS less so £20 would be fairer because they contain so much less content usually. I bought this used from gamestop the same day I picked up my wii U. I got the windwaker edition so it was not a pack in for me. The little bit of it I have played I like. I got it for $7 dollars when I got my Wind Waker bundle. GameStop has this used for $14.99. $30 isn't bad for this, $60 was always way too much. I always felt like they sold it separalty for $60 just so they could tell Deluxe buyers they were getting a $60 game. Now that it's not bundled anymore it's true price is revealed. good. I've been waiting for the price to drop so I can rebuy it digitally. Even when new copies of Nintendo Land were selling for $60, used copies were going for less than $20. That's highly unusual since most used titles go about $5 under new. The only really bad thing about Nintendoland is seeing how many really great and fun Ideas Nintendo had a year or two ago and how they were slapped together in one big package of minigames and left to rot. No follow up, nothing. The 'Ghost Hunter' for example is still the most fun we've ever had with the console, but it only has, what, three levels? Same with those 'Chasing Mario' game or the balance puzzler (Donkey Kong's something). I was very excited playing nintendoland last year because I thought it was an indication of things to come. Instead it turns out it was a peek of what might have been. Most notably the gamepad hasn't been used as intelligently since, by anybody, least of all Nintendo. It really makes me sad. $30 is a fair price. I don't think anything I've seen on WiiU is worth $60 so far, but here at least you get some 'all ages' variety. If you have kids, this is a must. The game is actually worth 60bucks! It has extremely much content and is a hell of a lot of fun and that is not only for the young ones! If you ever intend to invite people over have a bunch to play at your house, go, run, get it!! I got my Wii U very early, had always many games to play and only now - a year after it's release - I'm finding how many hours of challenges and quality fun lays within this quality game! I thought Nintendo of America only had mandated pricing not recommended. (Hence why Amazon.com cannot sell consoles or couldn't for a while). Not quite low enough. They shoulda packed it in woth every wii u. Excellent move. Nintendo Land is an awesome experience for families and a very hard sell. It adds much more value to the overall experience and unfortunately it needs to be $30 to get over the "what is this thing, just simple mini-games?" problem. The value at that price level is amazing and you'd be making a mistake to skip it at that price, especially if you can regularly play with 3 or more people. I really like Zelda and find that Donkey Kong's Crash course fun. I don't really like other minigames. yeah, nintendo likes to drop prices way too late, way too little. They did this with Wii games too, and acted like it was this big gift to fans when most of the games in question could already be bought used for 10-15 dollars. Nintendoland is one of the reasons the WiiU is doing badly. The Miis mini games are destined for 'pack-in' status and just looked tired even when the WiiU launched. Playing that game at a pre-launch event is what first gave me pause about the WiiU, it was boring and looked like a Wii game and made me think "uh-oh, this could come out badly for Nintendo". A fun game to be sure. I thoroughly enjoyed the game, mostly the throwing star one and the legend of Zelda one. HUMPH. I had the disk, and bought the download because I hated endlessly putting the disk in when I played Nintendoland 3-4 times a week anyway. That price cut woulda been nice! @Ren Its interesting the difference between the US and UK. In the UK even preorders for brand new Wii U games are £30 but something like NSMB2 sells for more (£28 used) than that its interesting. @russellohh yeah I actually did that too. I swear at the moment (and for once full stop lol), we here in the UK are getting best value for money when it comes to Wii U stuff. The amount of games I have seen on Amazon especially go from £40.00, randomly drop to something like £9.00. James Bond 007 Legends (as bad as the reviews were), was always one of those games that I was waiting to find for around the £20.00 price mark maximum (coz though I don't like the films, I'm a sucker for the games), I would never pay £40.00 for it judging from what I'd seen and read, but one day, just a few days ago it was around £37.99, the next day I was buying it for £7.09p, and for that price, I love it. GAME as well does very well, with brand new pre-orders (online) being either £30.00-£35.00 on release day instead of the usual £40.00-£45.00 or more, and then just wait a month or two, and you can pick them up half price brand new. Even the console bundles that GAME has thrown together for the console have been so good at times e.g £259.99 for the Zelda Limited Edition bundle and Rayman Legends, along with a few other bits and pieces. The thing I don't understand is why I can walk into GAME and buy a brand new hard copy of Mass Effect 3 or Ninja Gaiden for the Wii U for £14.99, or just above it, choose to pick up the online voucher code for £49.99. I know online purchases are expensive but that's ridiculous. As for Nintendoland and officially on topic, lol, absolutely love it, got it on release day with the console and although I can understand not giving it away with every console JUST yet, what they could do is have something like buy it for £30.00 or whatever on its own, or, if buying a Wii U console, get it for like £5.00 or £10.00 as a little extra. I think everyone would get a copy then for just a few quid/dollars. It's a fair move. Considering this, I might get the New Super Mario Bros. U bundle and buy Nintendo Land on the side. Its a good game- worth $60. Metroid, Zelda, ninja game and twister were all lots of fun. I'd say I've put 60 plus hours on it. Still the best game on the system. A shame so many people haven't given it a shot. Too many played a mini game once, shrugged their shoulders and left. But to me, the smaller, solo games are the true attraction here. F-Zero is sorely underrated, Yoshi's Cart is very clever, Donkey Kong is just devious, and even the Octopus Dance game is funny (and challenging). Even the coin-dropping game is great! And don't get me started on the music... Don't sleep on this one, people! @Sceptic I believe the ghost game had about 5 levels, but because of this game I got crap for not bringing my Wii U to a friend's house for our monthly Smash Bros. party. I couldn't believe it coming from a bunch of 30 somethings. This is a fantastic deal for about $30... hopefully the stores near me get their crap together and lower their prices, but sometimes some stores are just a little slow to react. @LittleIrves Right, every Nintendo Land "mini" game goes much deeper than you'd at first expect. I'm sure many give up and label it "boring" before they get to the challenging stuff. That Yoshi game gets truly awesome, and the Donkey Kong game is genius (AND MEAN!) Even the Zelda game seems, at first, like it HAS to be too simple to be interesting but it's probably my favorite (though multiplayer can make some stages crazy harder because of the shared hits (Looking at you Ganon). The other problem is playing alone though. It definitely gets stronger when you have 3 or more people to play. I can think of a dozen other games I'd put my hard-earned $30 towards before buying NintendoLand. @bezerker99 tell me the dozen better Wii U games please. That are $30 or less from the online store. Basically, I could have taken any 12 Wii U games that weren't NintendoLand and made a fairly competent list. This is such an underrated game. My girlfriend and I have gotten countless hours of enjoyment out of this title since last November. Plus, it is one of the few Wii U games that has actually used the GamePad to great effect in my opinion.